Citation: Gonda I, “Is There a Future for the Respiratory Delivery of Biologics?”. ONdrugDelivery Magazine, Issue 96 (Apr 2019), pp 6-10. The pulmonary and nasal delivery of biologics is intuitively attractive; it is an easy, non-invasive administration route with readily targetable portals – the mouth and the nostrils. On top of that, there is a lot of existing expertise in delivery of drugs both to the lung and to the nose for the treatment of diseases in those parts of the body, such as asthma, COPD, pulmonary arterial hypertension, cystic fibrosis, rhinitis and allergies. These types of therapies continue to attract investment and are growing in use (Figure 1).1,2 However, current sales are almost entirely for small molecules. So why is it that there are so few biologics on the market delivered by these routes of administration, even for the treatment of respiratory diseases? How could it change? 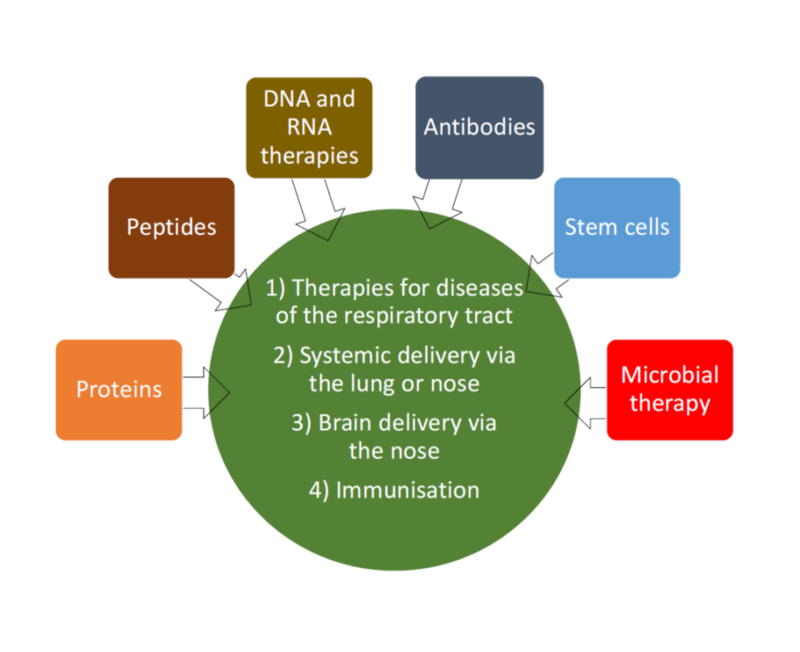 Figure 1: Potential for nasal and pulmonary delivery of biologics. After the heyday of pulmonary and nasal delivery of macromolecules in the 1990s, including proteins, peptides and gene therapies,3 it is quite remarkable how little progress has been made and how devastating the attrition rate has been for the vast majority of these products before and, in a few cases, after they reached the market. This article will discuss some of the key factors contributing to the current lack of enthusiasm in this field and provide some thoughts as to what can be done to bring this very promising source of new therapeutics back on the stage to lead to attractive prophylaxis and treatment for a number of serious diseases. The respiratory tract is the only part of the body which must be in continuous contact with the environment for us to survive. It is therefore not surprising that, in order for it to continue functioning over the course of many years, it has a multitude of protective mechanisms that act as barriers to entry of foreign materials, as well as other mechanisms that act to remove such materials should they penetrate beyond these barriers. Understanding the nature of these mechanisms and our ability to overcome them, or use them to our advantage, is therefore important. It goes almost without saying that orally or nasally inhaled substances cannot reach those parts of the respiratory tract that are not ventilated. This is particularly important to consider in the context of obstructions of the respiratory tract, be it “stuffy nose”, or the presence of permanent or reversible airway obstructions in asthma and COPD. Combinations of drug, such as decongestants, bronchodilators, mucolytics, and non-drug therapies, such as physiotherapy, prior to biologic delivery, are examples of how some of these reversible obstacles can be overcome. The human nasopharynx and oropharynx are especially efficient at filtering out large “non-respirable” particles. In the case of the nasopharynx, no matter whether the purpose is the delivery of drugs to the nose for local therapeutic treatment, or via the nose into the systemic circulation or the brain, this highly efficient filter is the desired “barrier” and the target for the therapy. Deposition of orally inhaled therapeutics in the mouth is invariably wasteful, except in relatively rare situations when the oral cavity is the therapeutic target. Because of the complex and dynamic anatomy of oropharynx, deposition there is also the most likely cause of intra- and inter-individual variability in lung delivery. Therefore, minimising deposition in the oropharynx is important for drugs where efficiency and precision of delivery matter. 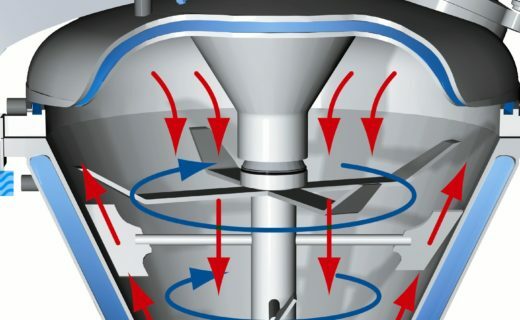 Depending on their aerodynamic properties, particles and droplets that penetrate these initial obstacles will deposit by impaction, interception (in the case of elongated particles), sedimentation and diffusion. If the residence time is insufficient for diffusion and sedimentation of the smallest particles to the walls of the respiratory tract, then they may be exhaled. The nasal cavity has extensive intra- and extra-cellular enzymatic activity, containing both peptidases and proteases. Studies with peptides showed that, by using peptide inhibitors, it is possible to enhance nasal absorption. Indeed, to improve the bioavailability of nasally delivered therapeutics of this nature, enzyme inhibitors paired together with formulations that increase the residence time in the nose may be necessary. Otherwise, even for relatively small peptides, the systemic bioavailability is of the order of approximately 1%.12 Biologics that are resistant to enzymatic degradation in the nose are an alternative to the use of enzyme inhibitors. Once particles deposit on conducting airways, mucociliary clearance will start translocating them upwards and they may ultimately get swallowed. Macrophages, and possibly other phagocytotic cells, can also ingest such particles which can be used to our advantage if they are the therapeutic target. The lung has relatively low metabolic activity compared with the gastro-intestinal tract. The presence of protease activity is generally associated with lung diseases, such as alpha-1 antitrypsin (A1AT) deficiency with absence or abnormally low levels of the natural protease neutraliser A1AT, or in cystic fibrosis, where high levels of proteases are the result of chronic inflammation and infection. There is evidence from animal studies that peptidase inhibitors increase the bioavailability of inhaled peptides such as insulin and calcitonin delivered to the lung.13,14 Mucociliary clearance is absent from alveoli but alveolar macrophages can phagocytose particles there. Most biologics are much more expensive to manufacture than small molecules. The low systemic bioavailability of the nasal and pulmonary routes requires much higher doses than injections, which for costly biologics may render these administration modes less attractive. 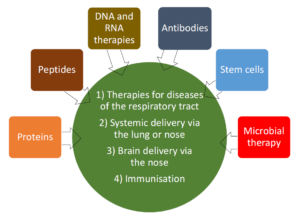 In contrast, delivering biologics directly to the sites of therapeutic action in the respiratory tract makes these routes very attractive not just from the cost-of-goods perspective but also to reduce the potential for systemic side effects. An example of such a product is recombinant human DNase for the treatment of cystic fibrosis – one of the few approved inhaled biologics to have achieved sustained success. Fast-acting insulin only. Since many diabetics need to use both short- and long-acting insulins, neither of these products provided a full solution for patients. Future products of this kind need to look more holistically to solve the patients’ needs. The lack of experience. Patients and their caregivers, as well as the sales and marketing forces behind the products, lacked experience with inhaled products, including the requirements for regular respiratory safety testing and future efforts in this area will require better education of all key stakeholders. First and foremost, the development scientists have to design the new product such that it meets the patients’ needs and is more attractive compared with existing therapies, reducing rather than increasing the burden on the patient and the provider. Significant improvement of injectors. During the development of Exubera and Afrezza insulin, injection device technology saw notable advancement. This is a tough area to deal with, but anticipation of evolutionary improvements in existing products, such as smaller gauge needles, that could then become highly competitive against a revolutionary product, in this case inhaled insulin, before and during development and marketing the product could save a lot of later disappointment. Both products were dry powders, with evidence for respiratory side-effects. Patients with asthma and COPD were excluded from the labels of both Exubera and Afrezza. Yet, apart from hypoglycaemia, the most common side-effects were cough and throat pain or irritation. Using formulations and devices that minimise upper and central airway deposition, with compositions that have a low probability of airway irritation, may overcome these issues and possibly improve the uptake of such products. An example of such development was AERx iDMS that used an aqueous formulation of insulin delivered with a highly efficient inhaler (Aradigm Corporation, Hayward, CA, US) targeting alveoli with small, nearly monodisperse droplets delivered as a bolus at the beginning of a slow inhalation. These formulations were well tolerated even in patients with asthma and COPD. Whether such attributes will significantly improve market penetration through better tolerability and ability to include patients with such common co-morbidities remains to be seen. One of the commercial drivers for research into the delivery of biologics via pulmonary and nasal delivery was the anticipation of rapid introduction of biosimilar copies of approved biologics. It was expected that, as with small molecules, changes in the route of administration from injections to more convenient, non-invasive methods would provide patient-attractive competitive advantages to the company introducing such a product, as well as the possibility of significant extension of exclusivity through delivery-related patents. However, the path to biosimilar approvals turned out to be much more complex than for small molecules. In the US, identical copies of existing drug products, i.e. generics, can be approved on the basis of a very much abbreviated approval process, the US FDA’s ANDA. Innovative improvements of already approved small-molecule drugs, such as changing the route of administration from injections to oral or nasal inhalation, can be pursued via the 505(b2) regulatory path that can utilise the existing public information about the drug’s safety and efficacy. Such products are often patent-protected and may also gain regulatory exclusivity via other means, such as via an orphan drug designation. There is already much concern about the relative cost/benefit of the recent market entries of biologics for the treatment of asthma.23 This is an obvious area where inhalation products using the same, or similar molecules, delivered directly to the site of action in the respiratory tract, are likely to improve the therapeutic ratio (efficacy/safety) and potentially reduce the cost of raw materials. Development of new products and technologies using pulmonary and nasal routes for biologics is not mainstream pharmaceutical and biotech activity, as the default option remains injectables. Only when it is recognised that locally administered treatment is practically inevitable, as in the case of recombinant human DNase and gene therapies for cystic fibrosis, will these routes be taken to be the first option. I have a very vivid memory from sitting on a panel of experts on delivery of biologics in the early 2000s at an investors’ conference; a senior executive from a large biotech company seriously claimed that pulmonary delivery of biologics was “impossible”. Yet, by that time recombinant human DNase was already approved and successful results with inhaled biologics in humans were published in reputable journals. I would not be surprised if that is still a widespread perception outside the close-knit community of respiratory delivery aficionados. Delivery of several types of biologics via the pulmonary and nasal routes is clearly feasible and may lead to very valuable products for patients whose needs are not met today, or only currently met with a high treatment burden. Maximising efficiency through the improved delivery of biologic agents to the desired sites and their protection against unproductive elimination is desirable, and there is both extensive expertise and availability of much improved devices and formulations now to help achieve these goals. Previous approvals of injected biologics, taken together with experience with approval processes of current pulmonary and nasal products, will certainly assist in shaping the regulatory paths for these new products. Since it is likely that the control groups in clinical trials will be patients using the existing approved route of administration for the same biologic, enrolment for clinical trials as well as choice of endpoints should be much easier and the risk much lower than for placebo-controlled trials of new drugs or biologics. But technical optimisation and abbreviated regulatory paths alone will not be a guarantee for success. The development teams working on the next generation of inhaled biologics, especially for those to be used outside respiratory medicine, should learn from history; inhaled products should be designed, developed and marketed through close collaboration with the patients and their healthcare providers to be attractive for all key stakeholders. Collecting information during development to support the socio-economic benefits of these new products is important, beyond the need to prove efficacy and safety. Respidex is a consultancy helping pharmaceutical companies in their R&D activities, regulatory strategy, financing and commercialisation of products for prevention, diagnosis and treatment of diseases. Respidex clients include small early preclinical companies as well as enterprises in late stage clinical development. 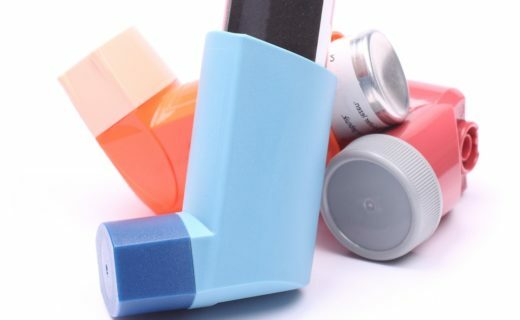 “Respiratory Inhaler Market By Type (Dry Powder Inhalers, Metered Dose Inhalers, Nebulizers) By Application (Asthma, Chronic Obstructive Pulmonary Disease, Pulmonary Arterial Hypertension, Cystic Fibrosis) and By Region – Global Forecast To 2026”. MarketResearch.biz, 2018. “Nasal Drug Delivery Technology Market is Expected to Exceed US$ 64 Billion By 2023”. MarketWatch, 2018. “Inhalation Delivery of Therapeutic Peptides and Proteins” (Adjei AL, Gupta PK eds). Marcel Dekker, 1997. Xi J et al, “Visualization and Quantification of Nasal and Olfactory Deposition in a Sectional Adult Nasal Airway Cast”. Pharm Res, 2016, 33, pp 1527–1541. Djupesland PG, “Nasal drug delivery devices: characteristics and performance in a clinical perspective—a review”. Drug Deliv Transl Res, 2013, Vol 3, pp 42–62. Gänger S, Schindowski K, “Tailoring Formulations for Intranasal Nose-to-Brain Delivery: A Review on Architecture, Physico-Chemical Characteristics and Mucociliary Clearance of the Nasal Olfactory Mucosa”. Pharmaceutics, 2018, Vol 10, pp 116–128. 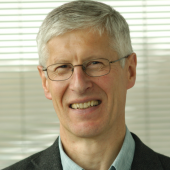 Chapman CD et al, “Intranasal Treatment of Central Nervous System Dysfunction in Humans”. Pharm Res, 2013, Vol 30, pp 2475–2484. Hartmann E et al, “Analysis of Plasmacytoid and Myeloid Dendritic Cells in Nasal Epithelium”. Clin Vacc Immun, 2006, Vol 13, pp 1278–1286. Tian G et al, “Targeting Aerosol Deposition to and Within the Lung Airways Using Excipient Enhanced Growth”. J Aerosol Med Pulm Drug Deli, 2013, Vol 26(5), pp 248–265. Illum L, Fisher AN, “Intranasal Delivery of Peptides and Proteins, Part Two” in “Inhalation Delivery of Therapeutic Peptides and Proteins” (Adjei AL, Gupta PK eds). Marcel Dekker, 1997, pp 135–184. Gonda I, “Mathematical modeling of deposition and disposition of drugs administered via the nose”. Adv Drug Deli Rev, 1998, Vol 29, pp 179–184. Illum L, “Nasal drug delivery — Recent developments and future prospects”. J Contr Rel, 2012, Vol 161, pp 254–263. Hussain A et al, “Absorption enhancers in pulmonary protein delivery”. J Contr Rel, 2004, Vol 94, pp 15–24. Shen Z et al, “Proteolytic enzymes as a limitation for pulmonary absorption of insulin: in vitro and in vivo investigations”. Int J Pharm, 1999, Vol 192(2), pp 115–121. Haworth CS et al, “Inhaled liposomal ciprofloxacin (ARD-3150) in patients with non-cystic fibrosis bronchiectasis and chronic lung infection with Pseudomonas aeruginosa: results of two phase III randomized controlled trials (ORBIT-3 and ORBIT-4)”. 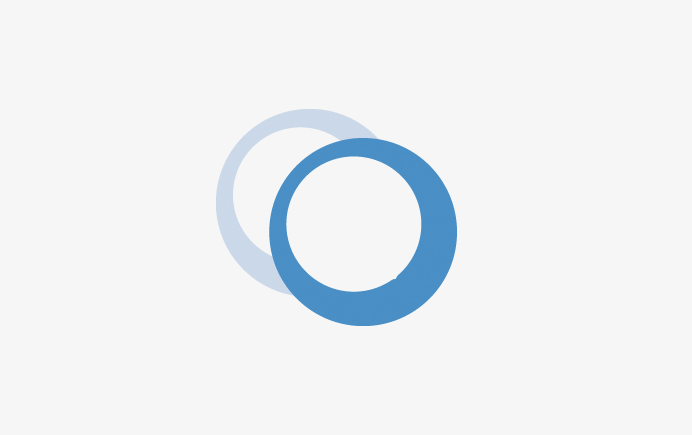 Lancet Respir Med, 2019, Vol 7(3), pp 213–226. Griffith D et al, “Amikacin Liposome Inhalation Suspension for Treatment-Refractory Lung Disease Caused by Mycobacterium avium Complex (CONVERT): A Prospective, Open-Label, Randomized Study”. Am J Respir Crit Care Med, 2018, Vol 198, pp 1559–1569. Krauskopf L, “Pfizer warns of lung cancer with inhaled insulin”. Reuters, 2008. Heinemann L, “The Failure of Exubera: Are We Beating a Dead Horse?” J Diabetes Sci Technol, 2008, Vol 2(3), pp 518–529. Oleck J, Kassam S, Goldman JD, “Why Was Inhaled Insulin a Failure in the Market?” Diabetes Spectr, 2016, Vol 29(3), pp 180–184. Wolff RK, “Safety of Inhaled Proteins for Therapeutic Use”. J Aerosol Med, 1998, Vol 11(4), pp 197–219. Cipolla D, Gonda I, “Formulation Technology to Repurpose Drugs for Inhalation Delivery”. Drug Discovery Today: Therapeutic Strategies, 2011, Vol 8(3-4), pp 123–130. Boyles S, “Clinical Challenges: Do Asthma Biologic Benefits Justify High Cost?”. Medpage Today, 2018. Garde D, “Kamada Reports Final Results from Phase 2/3 Clinical Trial of Inhaled Alpha-1 Antitrypsin to Treat Alpha-1 Antitrypsin Deficiency”. FierceBiotech, 2014. Spragg RG et al, “Effect of recombinant surfactant protein C–based surfactant on the acute respiratory distress syndrome”. N Engl J Med, 2004, Vol 35, pp 884–892. Ulmer JS et al, “Engineering actin-resistant human DNase I for Treatment of cystic fibrosis”. Proc Natl Acad Sci USA, 1996, Vol 93, pp 8225–8229.